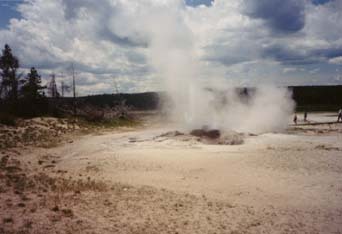 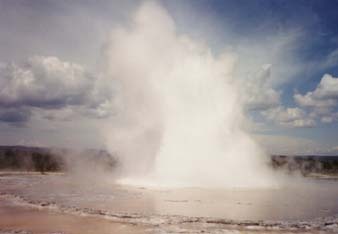 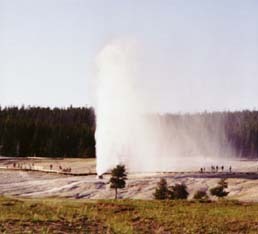 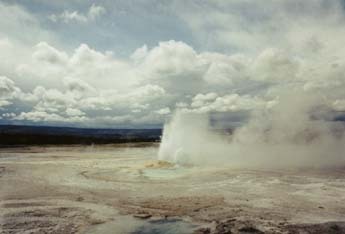 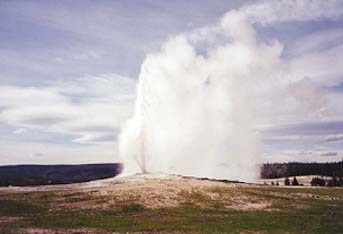 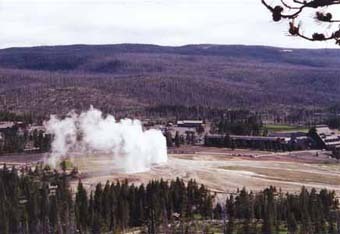 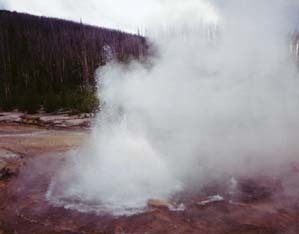 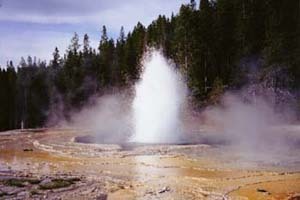 Here are several images of Yellowstone geysers. 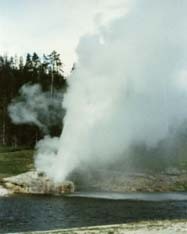 Unless otherwise specified, all images were taken in June 2000 and are © 2000 by Wm. 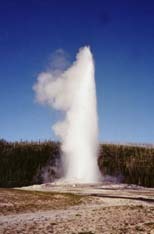 Robert Johnston and Vickey Johnston. 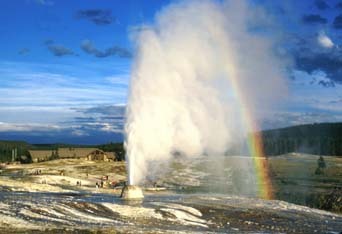 This trip to Yellowstone National Park was Vickey's first visit and my eighth or so. 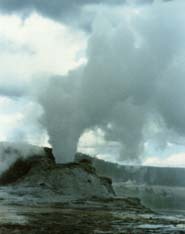 © 2001 by Wm. 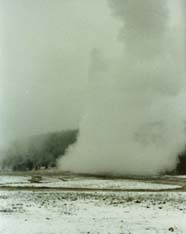 Robert Johnston (some photos used by permission or in the public domain). 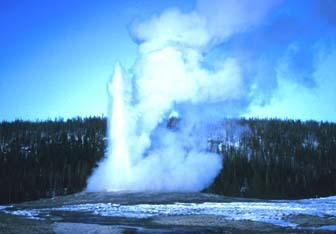 Thanks to Gordon Bower, Tom Dunn, Lynn Stephens, and other GOSA members for identifying Fountain Group geysers. 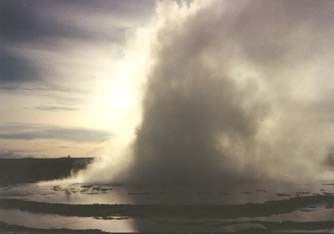 Last modified 26 April 2001.